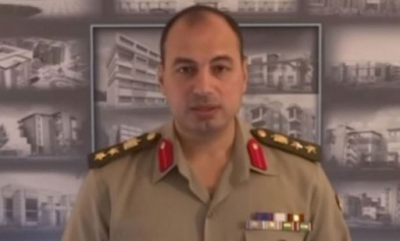 A Cairo military court has sentenced an army colonel to six years in prison for violating military regulations after he announced his intention to run against President Abdel Fattah al-Sisi in next year's election. Ahmed Konsowa, who was present at Tuesday's sentencing, was convicted political activism while serving as an officer on active duty, according to his lawyer Asaad Heikal. The 42-year-old was arrested after announcing in a 20-minute video his bid against Sisi on 2 December. Konsowa wore a military uniform while doing so. In the announcement, Konsowa said that he had resigned from the Egyptian army in March 2014 but his resignation was never processed despite appealing to court several times. "Am I to be punished for announcing my intention to run for president while wearing this uniform?" he asked rhetorically. "You must remember that I am not the first to do this. Those who have done so before me should be questioned first," he added in reference to former general Sisi. "I am only practising my right to run for president, which is a constitutional right for every Egyptian. This is not a call for rebellion or a turning against the military. "I am not the most courageous among you. I am not a doctor nor am I a philosopher. I am just an individual who like others has seen what our country has come to. "I only wish to ensure that the goals behind our 2011 revolution are not forgotten or left behind." Konsowa's wife, Rasha Safwat, has reportedly been unable to see her husband since 3 December. The verdict, which can be challenged, sparked sharp criticism among observers and social media users in Egypt.